External appearance of a building often gives an idea about its interiors. The exceptional architecture and character of the body of ZŁOTA 44 designed by Daniel Libeskind are also reflected in the inner space of the residential tower. 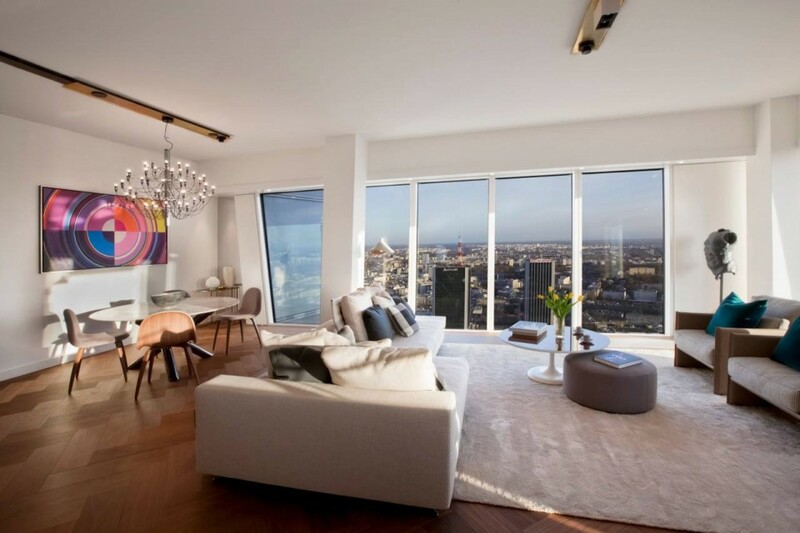 The layout and decoration of all the apartments and common areas of ZŁOTA 44 is in the hands of the architects of Woods Bagot, a London-based architectural firm of international repute. In June this year, Woods Bagot won the coveted Hospitality Design Magazine Award, which is granted for the most outstanding achievements in the category of interior design of upscale hotels across the world. Out of the record-breaking 560 entries for the competition, the winner was Woods Bagot’s design of the luxury Baccarat Hotel in New York. Woods Bagot’s origins date back to 1869. The firm prides itself on many successes in the demanding markets of luxury properties in such cities as London, New York, Melbourne or Singapore. In 2011, Woods Bagot was commissioned to design interiors of 1982 luxury apartments at Embassy Gardens, a project situated in Nine Elms, a prestigious district of London. Other notable projects completed by Woods Bagot include interior design of a complex of modern hotel suites at Park Avenue – Grosvenor House Apartments or styling the offices at the global headquarters of Lend Lease Group. Woods Bagot employs more than 1000 best architects and interior design experts operating in the firm’s offices in Europe, North America, Middle East, Asia and Australia. Designing the interiors of the apartments at ZŁOTA 44 was entrusted to Jonathan Clarke, Head of Interiors of Wood Bagot, London. He is a seasoned specialist with a decades-long track record in interior design. His designs of upscale residential, commercial and office projects are internationally recognised and have received multiple awards. The owners of ZŁOTA 44 allow the future residents of the building to choose among as many as nine design options prepared by Woods Bagot from London. Freedom of choice of finishes of the living space is another advantage offered by ZŁOTA 44. Future residents will be able to select colours and materials for their apartments to suit their taste. As part of the three packages: Standard, Premium and DeLuxe, Woods Bagot offers a few dozen types of top-quality materials in a wide range of colours. The catalogue includes inter alia ideas inspired by stylish natural materials, such as American walnut wood, oak, top quality marble with dark and light shades or travertine. The styling of the apartments may be described as a true masterpiece of applied arts. The interiors are inspired by and creatively draw on the rich heritage of the early 20th century. As Jonathan Clarke said: ”Thinking of Złota, we were trying to evoke the atmosphere of the great European capital cities of the 20s and 30s of the 20th century”. In their work, designers used recognisable, global brands, including B&B Italia or Minotti. The interior design of ZŁOTA 44 is a combination of exclusive materials and highest-quality appliances. Decoration of the apartments, furnished with objects that reflect the elegant style of the modern European design and finished with painstaking attention to detail, combined with the spectacular views from the apartment windows add up to an extraordinary living space that will put the future residents in the lap of unparalleled luxury.